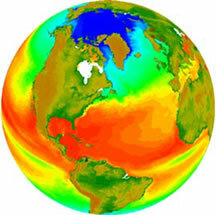 The globe has been transformed by the organisms that have inhabited it since the first bacteria started polluting the atmosphere with oxygen over 2 billion years ago. Certainly the impact of humankind on the earth is considerable: global warming, ozone depletion, photochemical smog, acid rain and the build up of radioactive waste are just a few examples. The extent of the danger these changes present and whether it is in our power to reverse them remain difficult and open questions that cannot be answered without an understanding of the science behind them. Students will be introduced to topics in chemistry and physics primarily through discovery oriented small group activities. Mathematical methods and experimental skills essential for scientific inquiry will also be developed in lectures and labs. We will engage in weekly seminar discussions to explore the interconnections between science and policy in the context of human originated transformations of the globe.